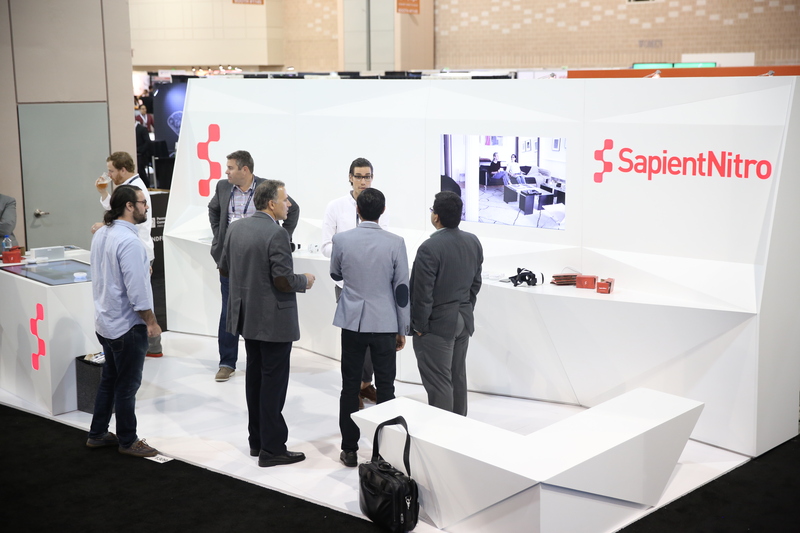 For the 2015 Shop.org Digital Summit in Philadelphia, PA SapientNitro welcomed over 5,000 industry professionals in the 2-1/2 day event focused around digital and omnichannel retailers. 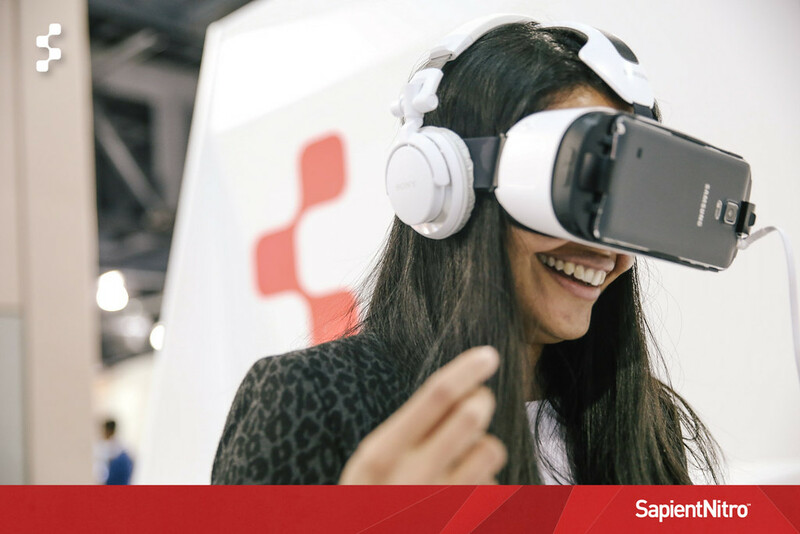 To inspire and build stronger relationships with attendees SapientNitro created a buzzworthy booth experience centered around the Future of Retail. 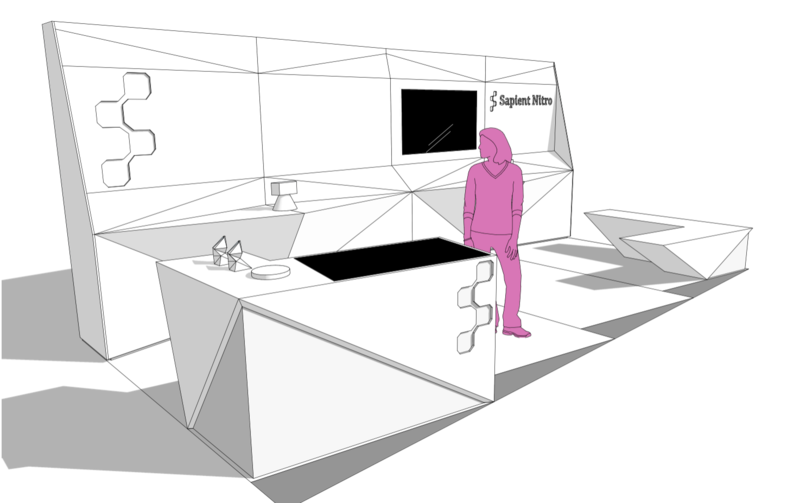 The booth and it’s clean faceted design was inspired by the new dimension created by the future of retail. 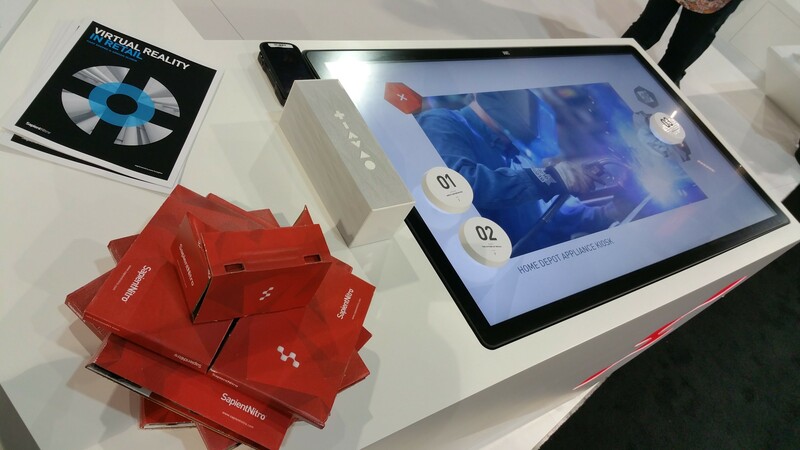 The booth design esthetic continued into the future of retail touchscreen experience and the Google Cardboard VR viewer giveaways. 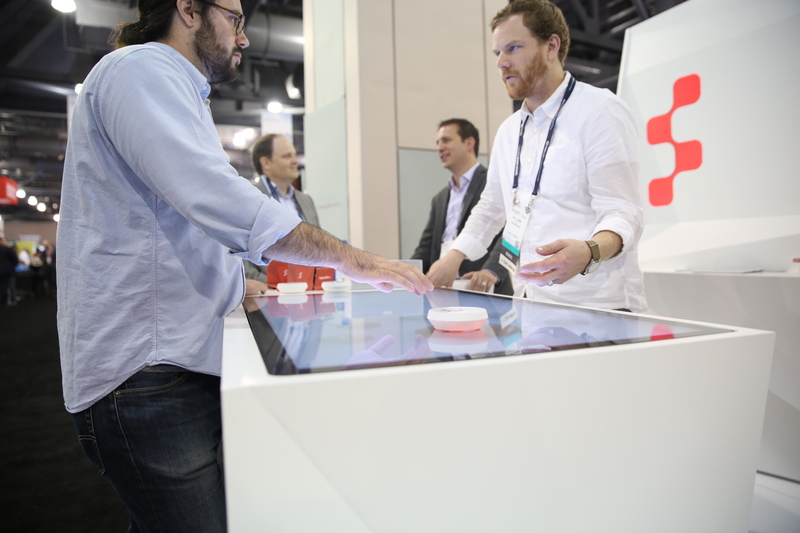 The interactive touchscreen experience bridged both the physical and digital worlds. 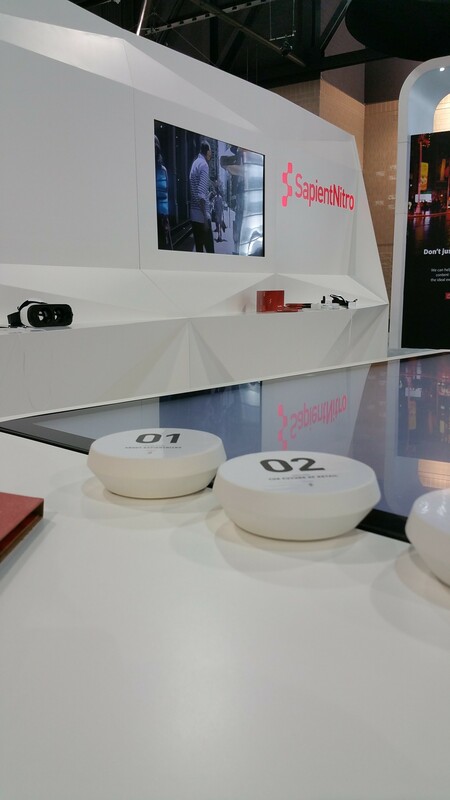 When a fiducial puck was placed on the surface of the table it gave attendees the ability to discover more about SapientNitro. 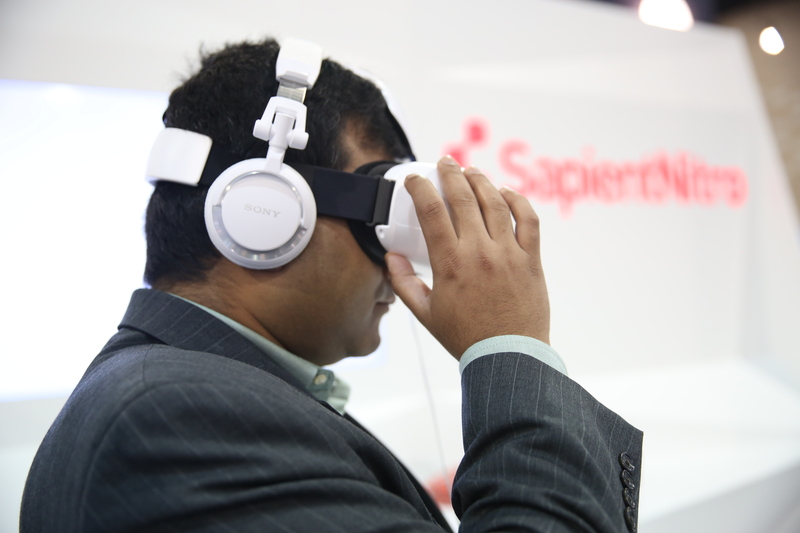 Or explore some of SapientNitro’s amazing retail work. 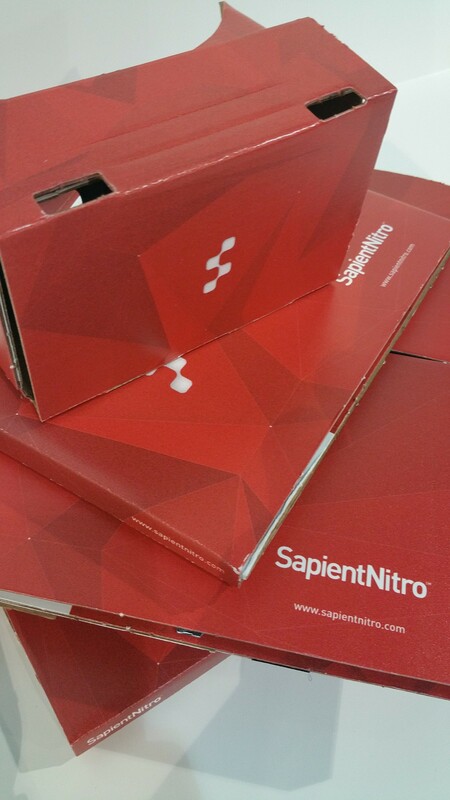 After a guest completed the VR experience they were presented with a custom designed SapientNitro Google Cardboard VR viewer by printed DodocaseVR. 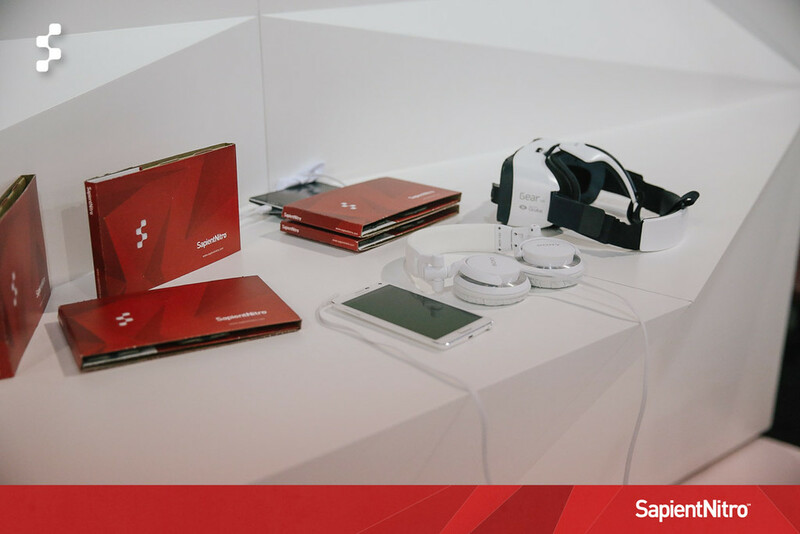 The team wanted to provide guests a memorable and exciting giveaway that embodied the core theme of the booth experience. A giveaway that guest can use over and over. Creating another highlight from the Summit. 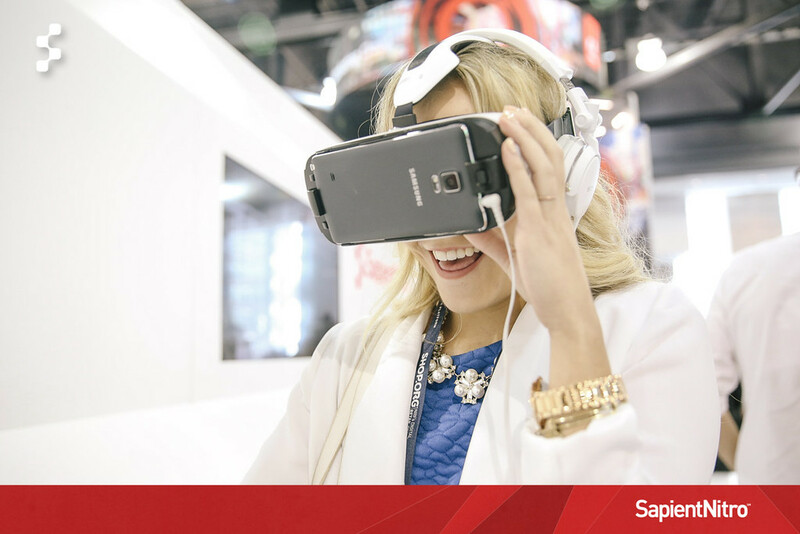 Generating demand and long lines to experience the future of retail. 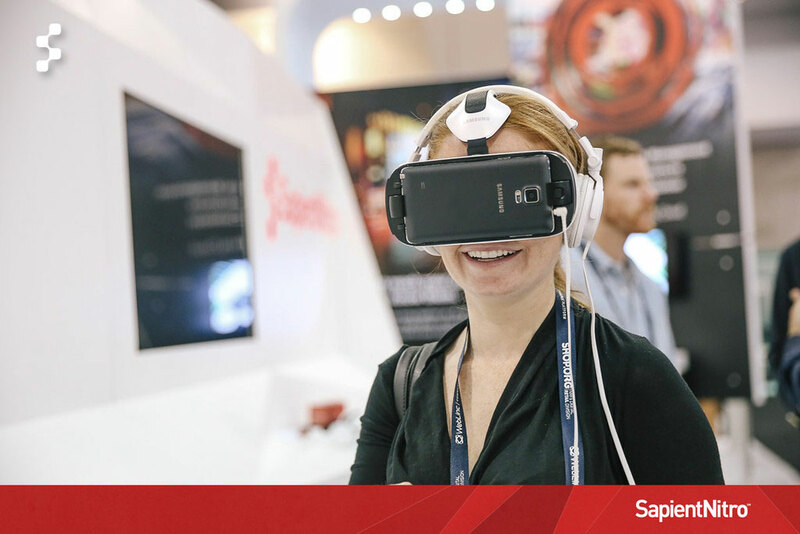 The elegant booth design and the interactive touchscreen experience was accompanied by The Apartment virtual reality retail experience that debuted at Cannes. 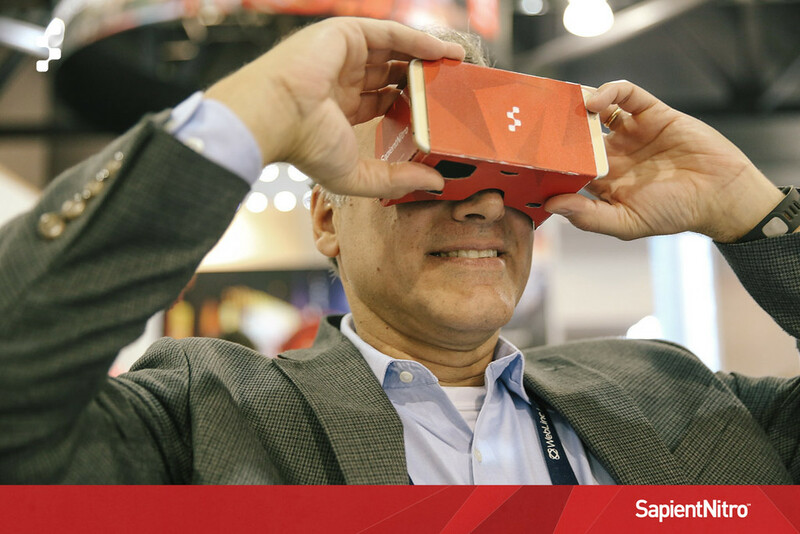 The VR experience became the highlight of the 2015 Shop.org Digital Summit. 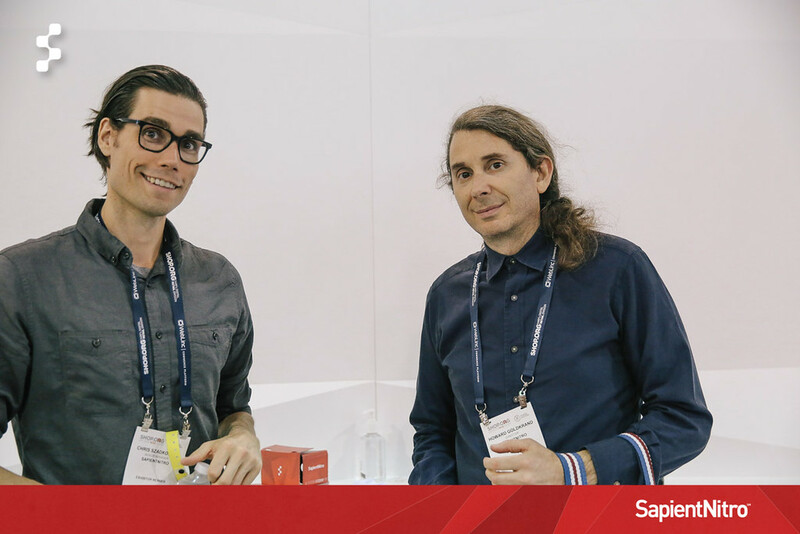 It generated enormous buzz around the conference and demonstrated how SapientNitro created a new dimension in e-commerce and showcased the Future of Retail. 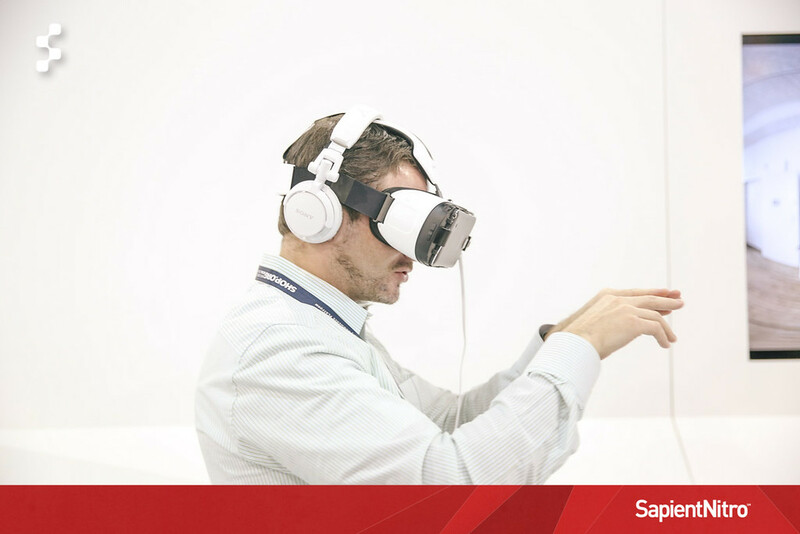 Learn more about the Apartment Virtual Reality Retail Experience.